Shake up your bartending routine with this aromatic twist on the classic Pimm’s cup. 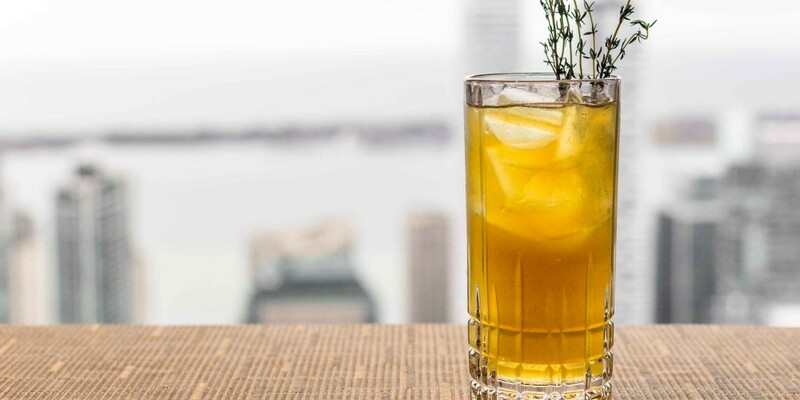 A herbaceous take on this quintessential British classic, our Spring Thyme cocktail features a tangy and fragrant blend of Pimm’s, thyme-infused lemonade and spicy ginger beer. This flavoursome drink packs a punch but is effortlessly refreshing and easy-sipping for those long summer nights. Combine all ingredients into a Boston Shaker. Shake and strain with a Hawthorn strainer into a glass. Top with ginger beer and garnish with a sprig of thyme.